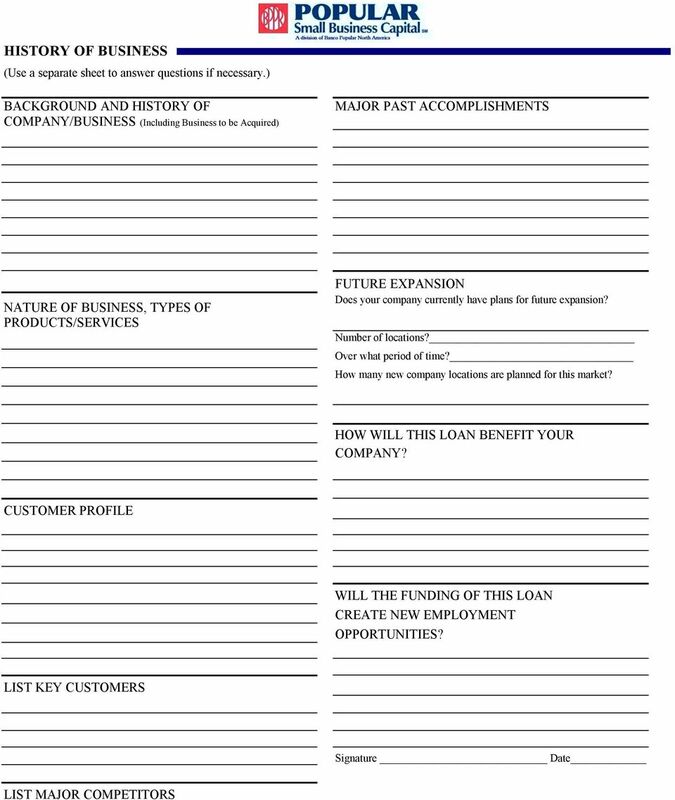 Download "BUSINESS LOAN APPLICATION POPULAR SMALL BUSINESS CAPITAL,"
2 LOAN REQUEST FORM APPLICANT COMPANY Company DBA (if applicable) of Franchise (if applicable) Fax City State Zip Date Established Tax ID# State of Incorporation or Organization State Organization number Is the Applicant Company: the Operating Entity; or Real Estate Holding Company Type of Applicant Company Organization: Corporation Sole Proprietorship General Partnership Limited Partnership or Limited Liability Partnership Limited Liability Corporation # of Employees: Existing After this Financing Affiliates Have you or any business controlled by you, ever had a lease or loan with BANCO POPULAR NORTH AMERICA? Yes No If yes, please describe type of transaction, amount, and term. 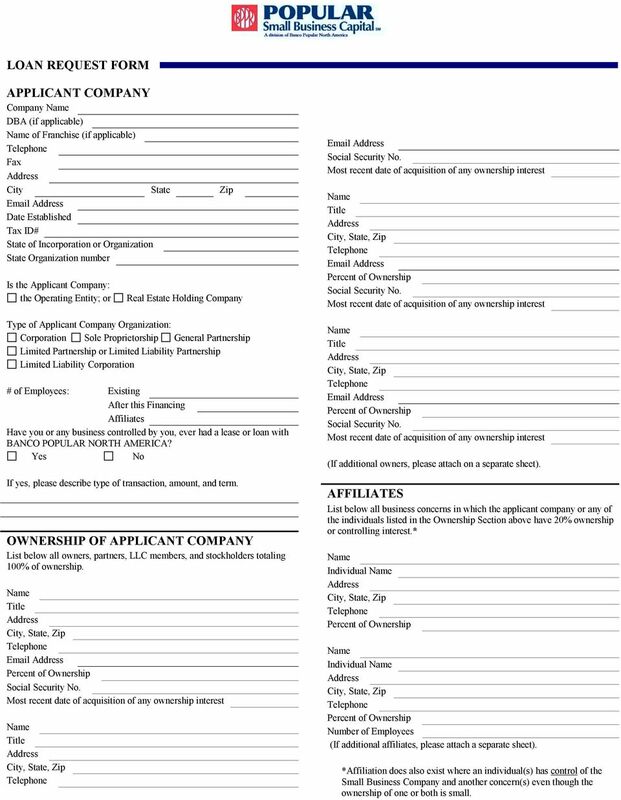 OWNERSHIP OF APPLICANT COMPANY List below all owners, partners, LLC members, and stockholders totaling 100% of ownership. Title Percent of Ownership Social Security No. 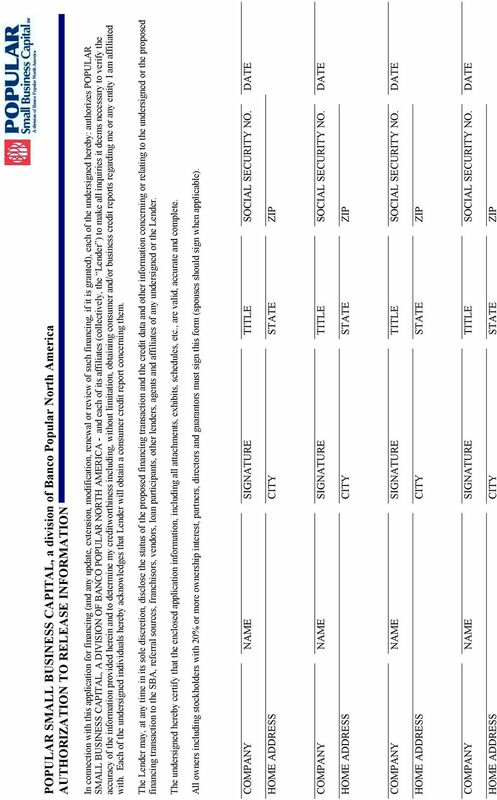 Most recent date of acquisition of any ownership interest Title Social Security No. Most recent date of acquisition of any ownership interest Title Percent of Ownership Social Security No. Most recent date of acquisition of any ownership interest Title Percent of Ownership Social Security No. 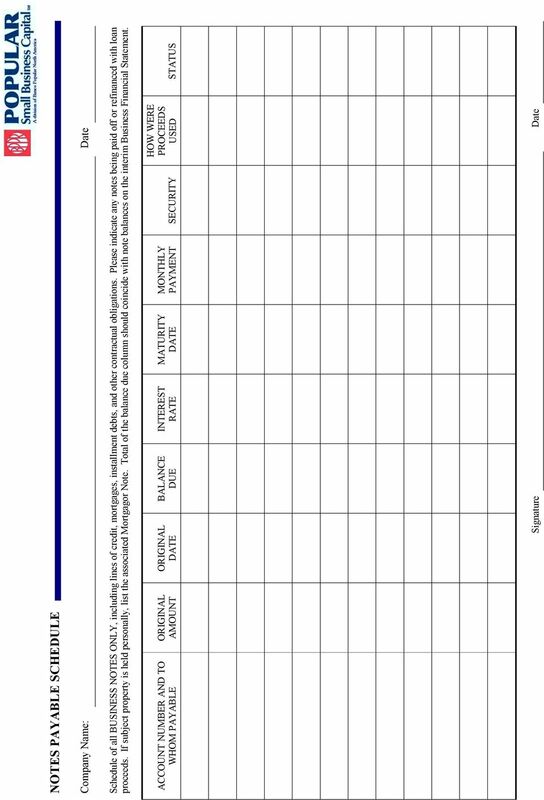 Most recent date of acquisition of any ownership interest (If additional owners, please attach on a separate sheet). 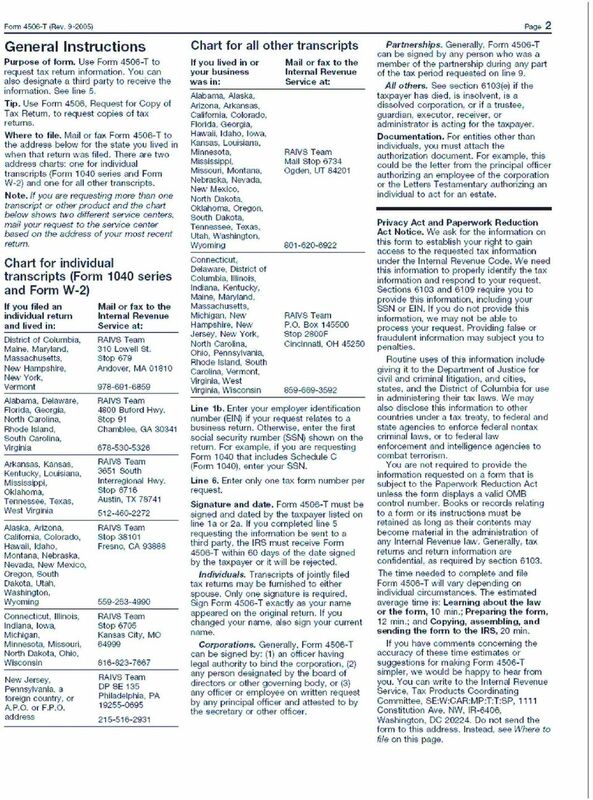 AFFILIATES List below all business concerns in which the applicant company or any of the individuals listed in the Ownership Section above have 20% ownership or controlling interest. 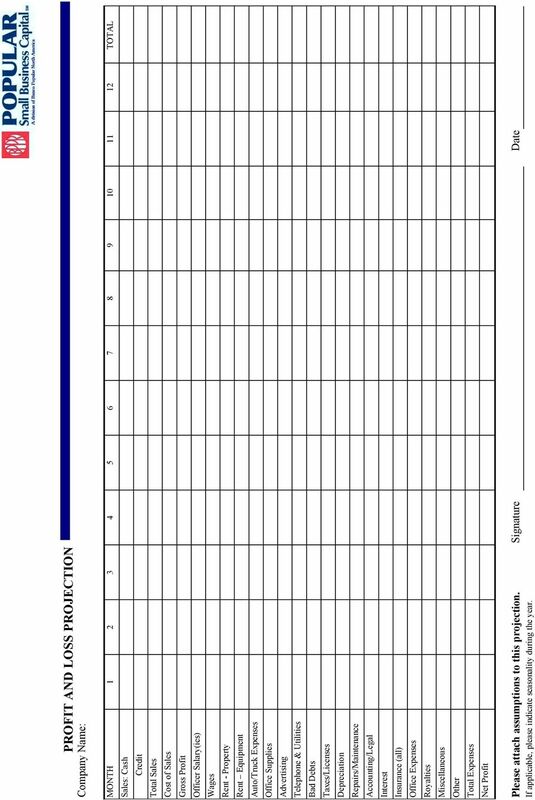 * Individual Percent of Ownership Individual Percent of Ownership Number of Employees (If additional affiliates, please attach a separate sheet). *Affiliation does also exist where an individual(s) has control of the Small Business Company and another concern(s) even though the ownership of one or both is small. 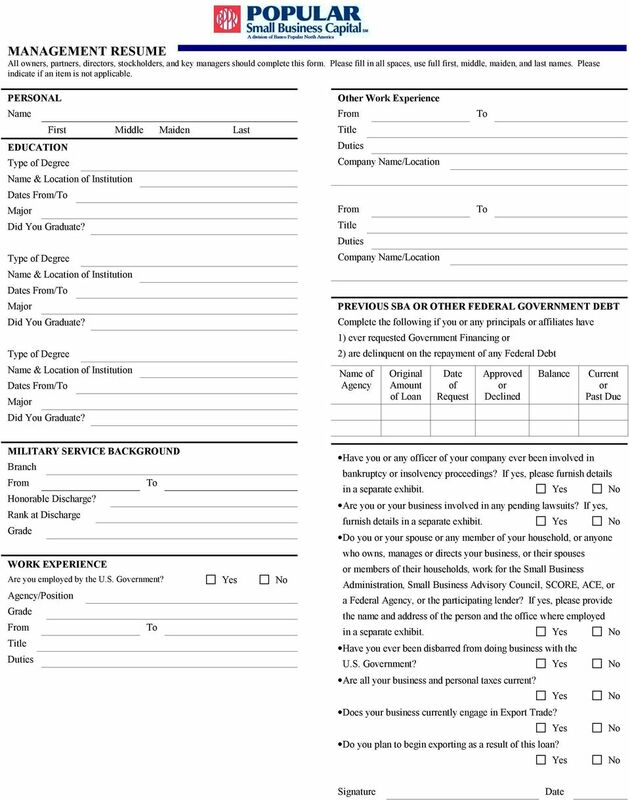 3 FINANCIAL REFERENCES (Additional financial information may be provided on a separate sheet). 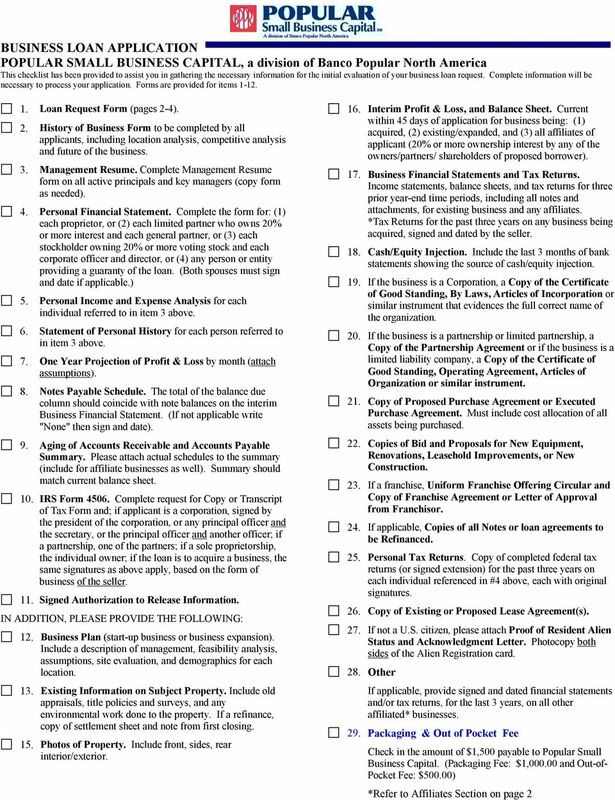 PROFESSIONAL ASSISTANCE Attorney s Firm Accountant s Firm BANK REFERENCES (Business and Personal) DESCRIPTION OF FINANCIAL ACCOUNTS (Required for applicant company and each Guarantor.) 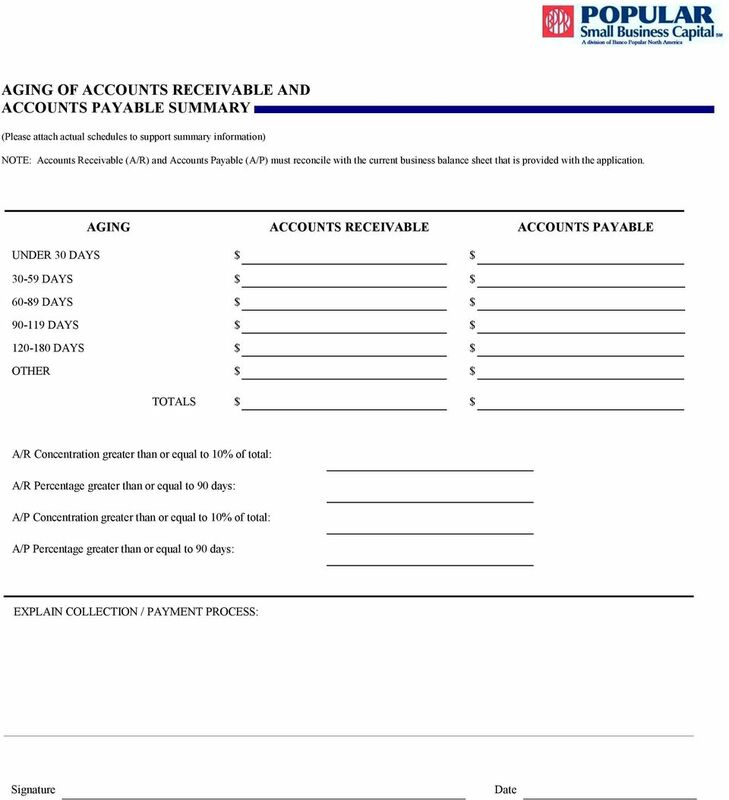 Please include description and account numbers for all liquid assets (mutual funds, money market accounts, etc.). of Institution Type of Account Account Number Current Balance of Institution Type of Account Account Number Current Balance of Institution Type of Account Account Number Date Opened Date Opened Current Balance Date Opened FIRE AND HAZARD INSURANCE of Insurance Company ADDITIONAL CREDIT REFERENCES Supplier Supplier VENDOR/TRADE REFERENCES (Finance company, vendors, suppliers, etc.) Type of Credit Established Balance Mo. Pmt. Type of Credit Established Balance Mo. Pmt. Type of Credit Established Balance Mo. Pmt. 11 NOTICES REQUIRED BY LAW The following is a brief summary of the laws applicable to this solicitation of information. Paperwork Reduction Act (44 U.S.C. 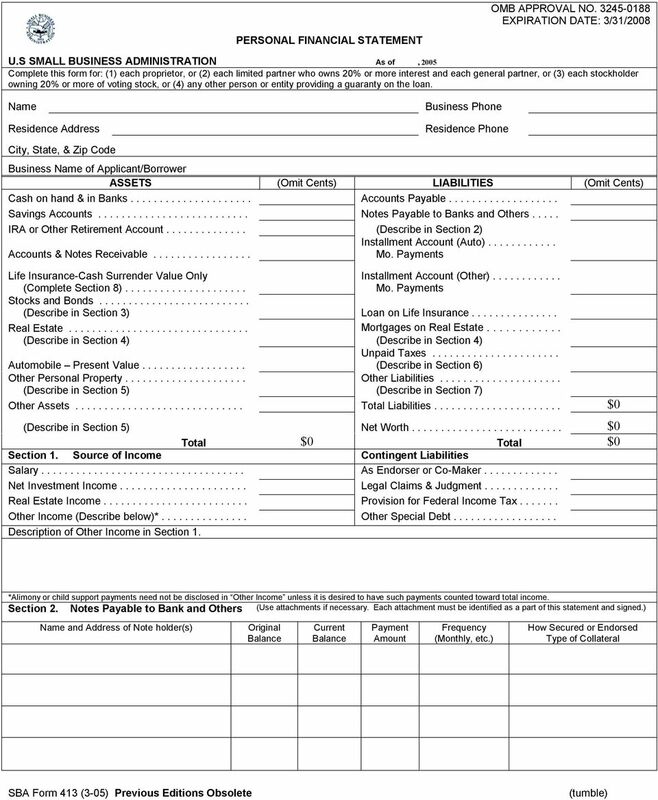 Chapter 35) SBA is collecting the information on this form to make a character and credit eligibility decision to fund or deny you a loan or other form of assistance. The information is required in order for the SBA to have sufficient information to determine whether to provide you with the requested assistance. The information collected may be checked against criminal history indices of the Federal Bureau of Investigation. Privacy Act (5 U.S.C. 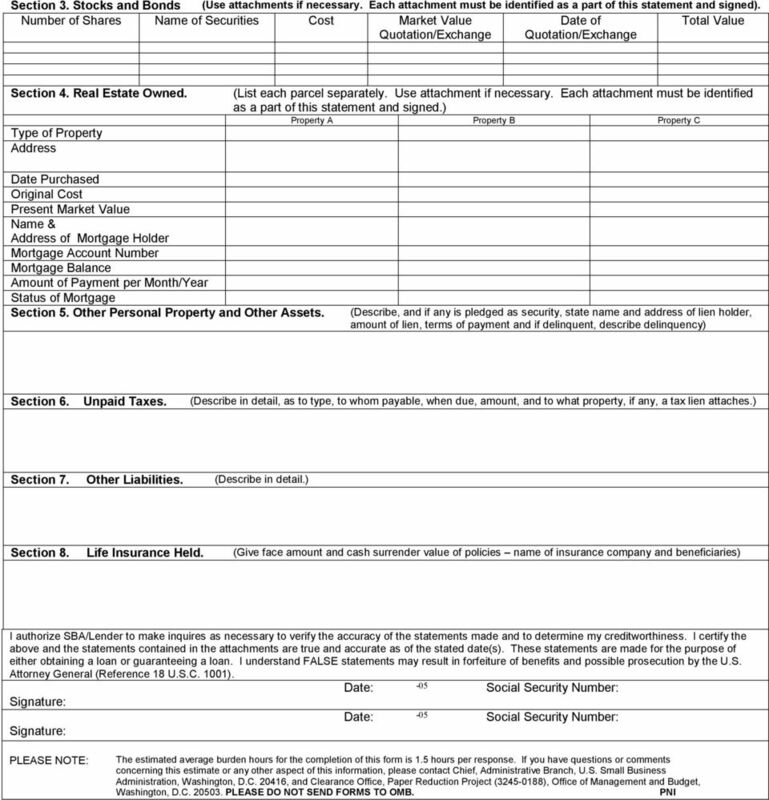 552a) Any person can request to see or get copies of any personal information that SBA has in his or her file, when that file is retrievable by individual identifiers, such as name or social security numbers. Requests for information about another party may be denied unless SBA has the written permission of the individual to release the information to the requestor or unless the information is subject to disclosure under the Freedom of Information Act. Under the provisions of the Privacy Act, you are not required to provide your social security number. Failure to provide your social security number may not affect any right, benefit or privilege to which you are entitled. 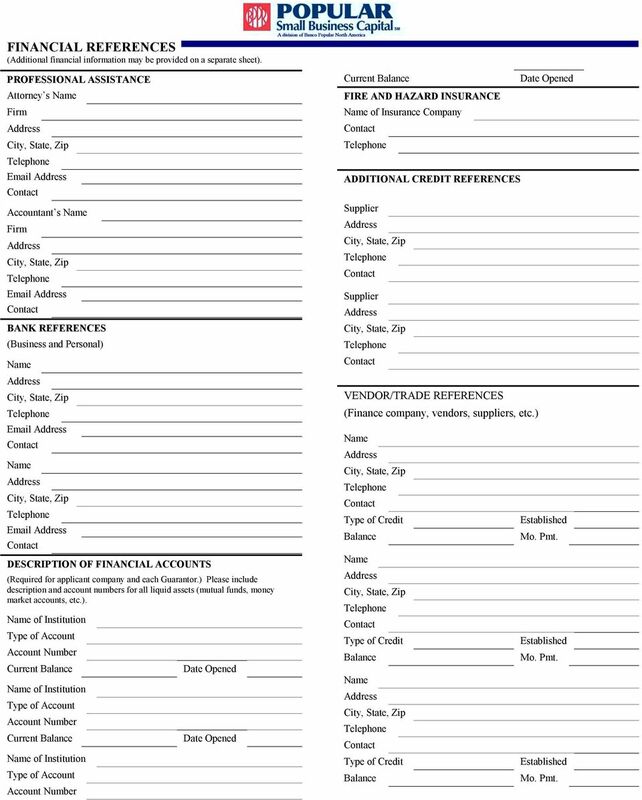 Disclosures of name and other personal identifiers are, however, required for a benefit, as SBA requires an individual seeking assistance from SBA to provide it with sufficient information for it to make a character determination. In determining whether an individual is of good character, SBA considers the person s integrity, candor, and disposition toward criminal actions. In making loans pursuant to section 7(a)(6) the Small Business Act (the Act), 15 USC 636 (a)(6), SBA is required to have reasonable assurance that the loan is of sound value and will be repaid or that it is in the best interest of the Government to grant the assistance requested. 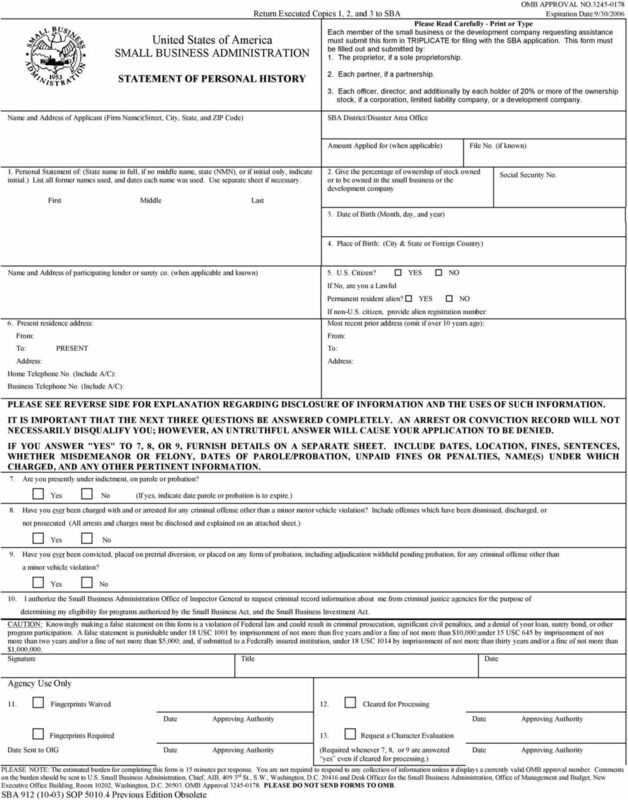 Additionally, SBA is specifically authorized to verify your criminal history, or lack thereof, pursuant to section 7(a)(1)(B), 15 USC 636(a)(1)(B). Further, for all forms of assistance, SBA is authorized to make all investigations necessary to ensure that a person has not engaged in acts that violate or will violate the Act or the Small Business Investment Act, 15 USC 634(b)(11) and 687b(a). 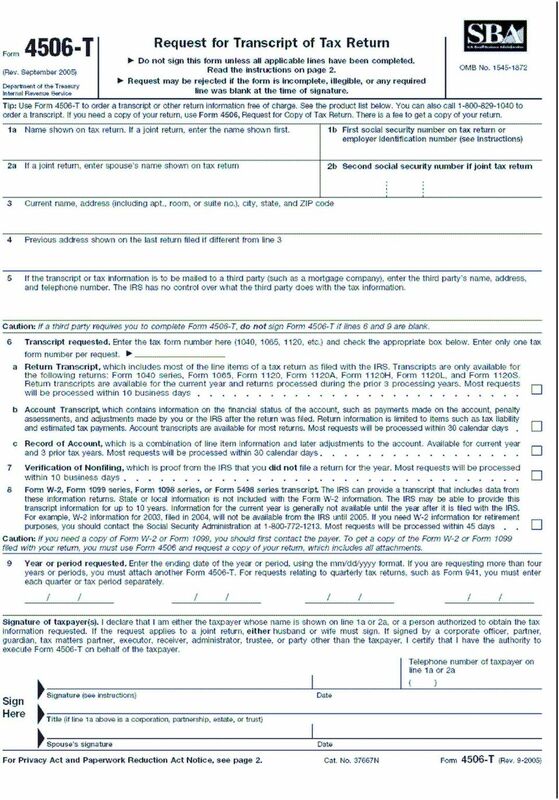 For these purposes, you are asked to voluntarily provide your social security number to assist SBA in making a character determination and to distinguish you from other individuals with the same or similar name or other personal identifier. 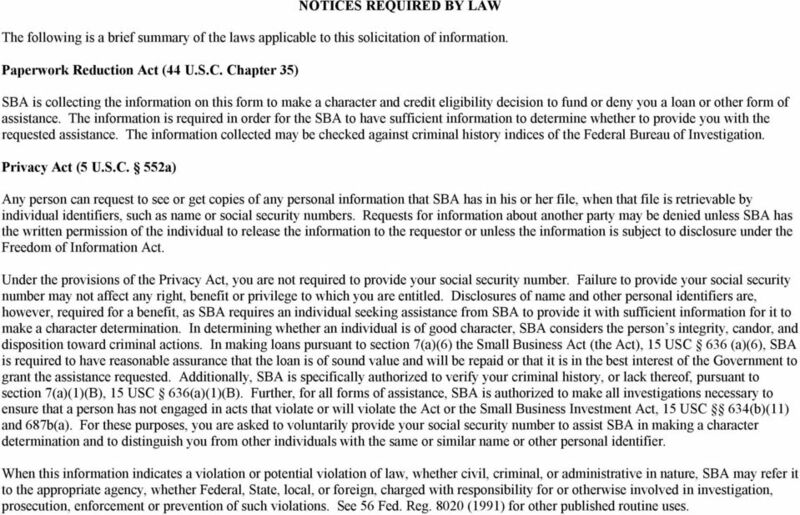 When this information indicates a violation or potential violation of law, whether civil, criminal, or administrative in nature, SBA may refer it to the appropriate agency, whether Federal, State, local, or foreign, charged with responsibility for or otherwise involved in investigation, prosecution, enforcement or prevention of such violations. See 56 Fed. Reg (1991) for other published routine uses. 12 PROFIT AND LOSS PROJECTION Company : MONTH TOTAL Sales: Cash Credit Total Sales Cost of Sales Gross Profit Officer Salary(ies) Wages Rent - Property Rent Equipment Auto/Truck Expenses Office Supplies Advertising & Utilities Bad Debts Taxes/Licenses Depreciation Repairs/Maintenance Accounting/Legal Interest Insurance (all) Office Expenses Royalties Miscellaneous Other Total Expenses Net Profit Please attach assumptions to this projection. Signature Date If applicable, please indicate seasonality during the year. 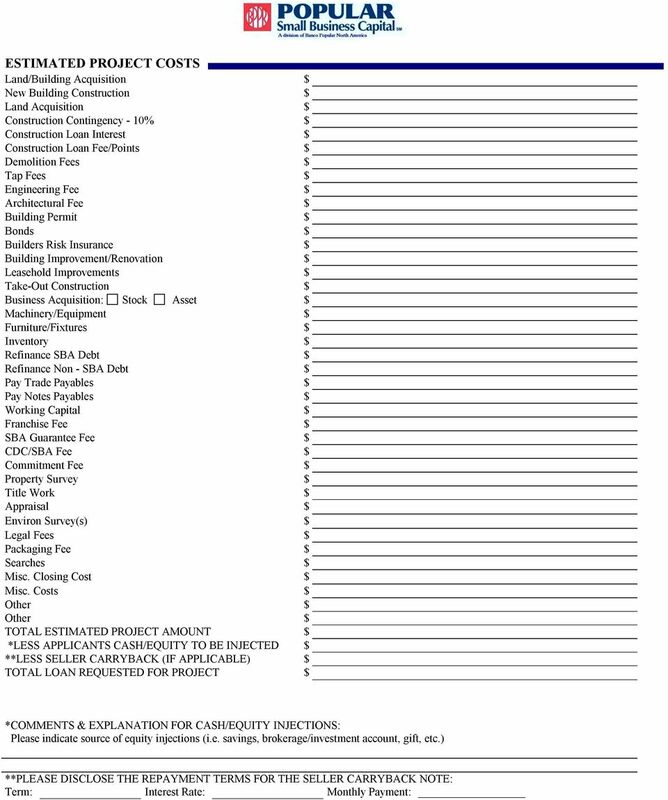 SBA LOAN APPLICATION This checklist will aid you in gathering the necessary information for the initial evaluation of your loan request. 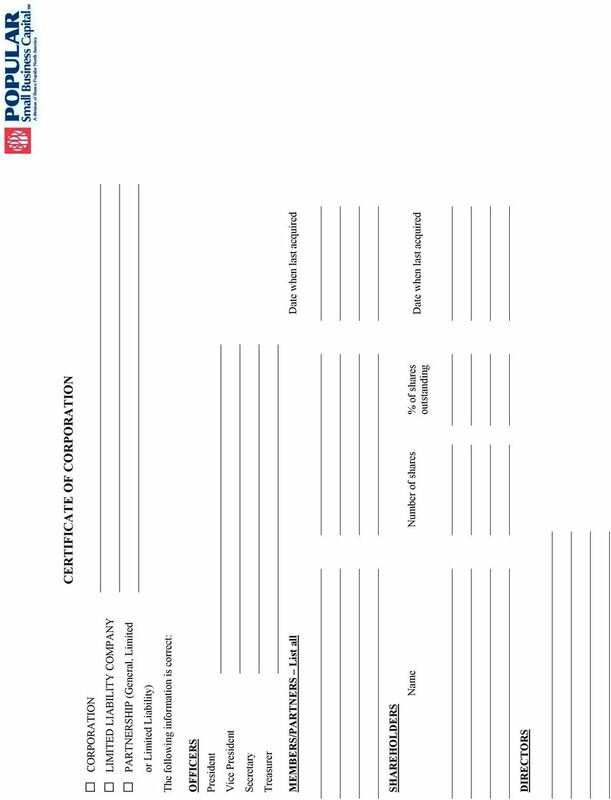 In order to process your application, we will need complete information.